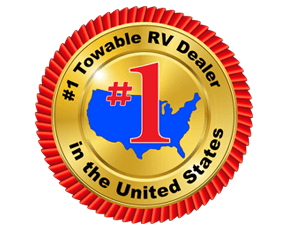 Looking for a travel trailer that will accommodate your toy hauling needs and your spouses desire for comfort and convenience? 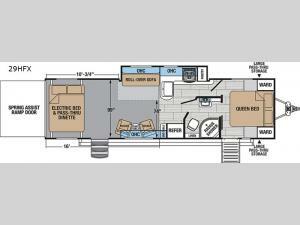 Then imagine having plenty of floor space to move around in this wide body toy hauler. The slide out adds even more walking around room, plus divides the flooring and full kitchen amenities including the residential HPL countertops and the 8 cu. ft. refrigerator from the living area. You can wait your turn to ride the toys while relaxing on the roll-over sofa, the two rockers or even the pass-through dinette with an electric bed above for nighttime. There is more to see! Come find out how you, your spouse, and your family can enjoy an active lifestyle without leaving the comforts of home behind!